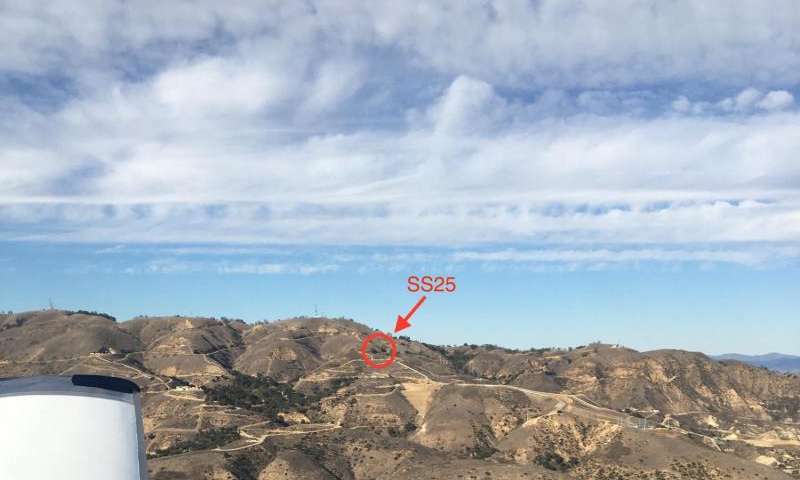 The Aliso Canyon natural gas well blowout released more than 100,000 tons of the powerful greenhouse gas methane before the well was finally plugged Feb. 11, according to the first study of the event, to be published Feb. 26 in the journal Science. The results confirm that it was the largest methane leak in U.S. history. The University of California, Irvine joined the National Oceanic & Atmospheric Administration, UC Davis and others to show that during the peak of the Aliso Canyon disaster, enough methane poured into the air every day to fill a balloon the size of the Rose Bowl. "The methane releases were extraordinarily high, the highest we've seen," said UCI atmospheric chemist Donald Blake, who has measured air pollutants across the globe for over 30 years. A co-author of the study, he also collected surface air samples near homes in the adjacent Porter Ranch residential area. The analysis of these samples found above-normal levels of several potentially dangerous compounds present in natural gas, including benzene, toluene and xylenes. "Some of the volatile organic compounds have been linked to health effects if exposure is long-term," Blake said. The disaster will substantially affect California's ability to meet greenhouse gas emission targets for the year, the researchers noted. "Our results show how failures of natural gas infrastructure can significantly impact greenhouse gas control efforts," said NOAA's Tom Ryerson, a lead scientist on the study. Fellow lead scientist Stephen Conley of Scientific Aviation and UC Davis said his first readings, in early November, were so high that he rechecked his gear. "It became obvious that there wasn't anything wrong with the instruments," he said. "This was just a huge event." At the time, Conley and his specially equipped plane were working with UC Davis on a California Energy Commission project searching for pipeline gas leaks. The state agency asked him to overfly the area around the breached Southern California Gas Co. well. Conley teamed with Ryerson, who had pioneered techniques for assessing oil spills with airborne chemical sampling during the 2010 Deepwater Horizon catastrophe and the 2012 Elgin rig blowout in the North Sea. They assembled a group of researchers from UCI, the California Energy Commission and the Cooperative Institute for Research in Environmental Sciences at the University of Colorado Boulder, many of whom had previously collaborated on regional air quality projects. 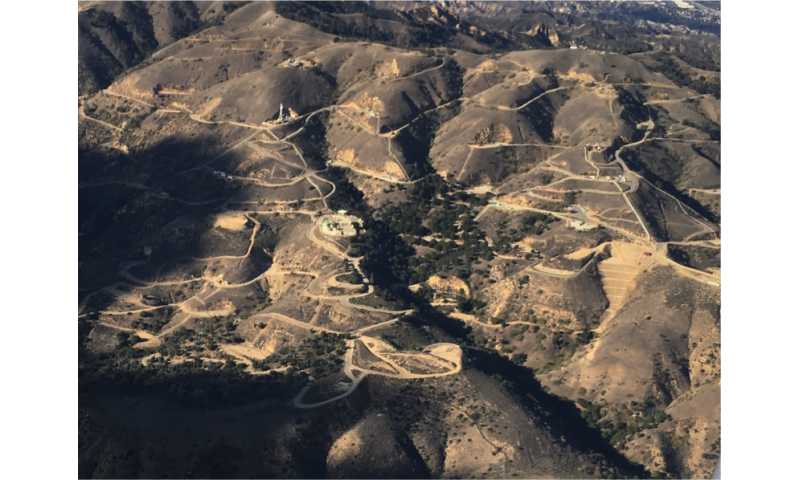 The team's measurements confirmed that high concentrations of methane and ethane were surging from the Aliso Canyon well into the densely populated San Fernando Valley. The analysis found that at its peak, the blowout doubled the rate of methane emissions from the entire Los Angeles Basin and temporarily created the largest known human-caused point source of methane in the U.S., twice the size of the next-largest source, an Alabama coal mine. According to the study, total emissions during the 112-day event were equal to one-quarter of the annual methane pollution from all other sources in the Los Angeles Basin combined. The disaster's impact on climate will be equivalent to the effect of annual greenhouse gas emissions from over half a million cars, it says. Eventually, more than 11,000 nearby residents were evacuated, and Gov. Jerry Brown declared a state of emergency. In addition to providing real-time air quality data from the leak site to state regulators, the measurements will let researchers check the accuracy of greenhouse gas measurements by remote sensing systems, such as satellites. The mega-leak has drawn attention to the broader problem of unintended emissions from natural gas production, processing, pipelines and storage infrastructure across the country. The study highlights the value of rapid-response airborne sampling for independent, time-critical, accurate and detailed information about major chemical releases, the authors said. Gauging leak rates, plume locations and plume composition could also help officials assess public health risks, the effectiveness of leak control, and climate and air quality impacts. "If we don't measure these things quickly, we won't have any idea what kind of response might be called for," Conley said. "We're happy that we could provide state officials with the scientific information they needed." Besides Blake, Ryerson and Conley, the study authors are Guido Franco of the California Energy Commission, Ian Faloona of UC Davis, and Jeff Peischl of NOAA and the University of Colorado Boulder CIRES. This emergency highlights the problems with storing gas in high pressure containment under ground. If this had been carbon dioxide instead of methane, there would probably have been a lot of deaths associated with the breach. And we are storing carbon dioxide underground near populated areas because carbon dioxide is being treated as a pollutant.